When England were paired with the Republic of Ireland, many English fans were predicting a landslide victory. Irish manager Jack Charlton had assembled a garbled team of misfits with a mere trace of Irish heritage and England were banking on a comprehensive victory to kickstart their campaign in a tough group that also included the Soviet Union and Holland. Of course that wasn’t to be. 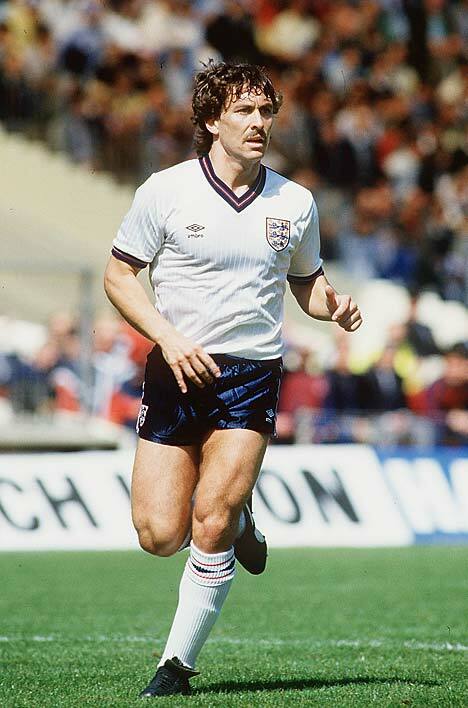 England started woefully and went behind to a header from Ray Houghton. You read that right; a header from Ray Houghton – the same Ray Houghton who is about 5’4″ on stilts. It wasn’t just the ignominy of losing, it was the manner in which England did it. This was the tournament of the swashbuckling Dutch, the flying Russians, the German machine, the classy Italians…and the bumbling English. It was a goal straight out of Sunday League. A long, high, hopeful Irish ball from left to right looked to be meat and drink for Gary Stevens, only for Mark Wright (mullet and all) to come careering across and clatter his own team-mate. The ball fell for Tony Galvin to loop a cross into the box but there was little danger because veteran Kenny Sansom was there to clear the lines. Now that moment that seems to haunt England at most major tournaments. The Dutch gave us total football, the Italians the concept of the sweeper, the Brazilians the wonder of attacking full backs; the English – the panicking punt back into your own penalty area. Up the ball went into the Stuttgart air. It came down for that renowned Irishman John Aldridge to flick on; Sansom was back to get a challenge in (on a player his size no less), but no, Houghton rose (more like stooped) unchallenged to loop the slowest header in the world over Peter Shilton. It was enough to give the Irish the victory and put England off to a bad start, which would only get worse. You would have shook your head in despair and turned the air blue if the winner had been scored in an under-sevens game, let alone an international tournament. Euro 88 remains one of the darkest spots in English football history.